A couple of things have caught my eye lately, so I thought I’d share! Firstly, the Disability in Kidlit blog. This blog embraces a broad definition of disability, and discusses its representation in middle grade and YA literature from a wide variety of perspectives – and ALL the bloggers identify as disabled themselves. So you will read posts from such writers as Kody Keplinger, Stephanie Burgis, Sara Polsky, Corinne Duyvis, and many more. Disability in Kidlit was initially run as a one-month event in July, but having had a fantastic reaction, it’s now an ongoing project. Yay! Secondly, on a more general theme of diversity in YA, check out the Kaleidoscope crowdfunding call at Pozible. Kaleidoscope is a proposed anthology of diverse contemporary YA fantasy. Kaleidoscope is a project by Twelfth Planet Press, a Perth-based, small press owned by editor Alisa Krasnostein (of feminist SF podcast Galactic Suburbia fame), in conjunction with editor Julia Rios (of the LGBT SF Outer Alliance podcast). Kaleidoscope already has stories by Sofia Samatar, Ken Liu, Vylar Kaftan, and Jim Hines. They will open up to general submissions when the pledges reach $7 000, with a final funding target of $12 000. They’re currently at $4 120, so now’s the time to get in on the ground floor and help them reach their goals! There are a variety of pledge options, from $5 (and you get two novellas in ebook format for that) and $15 (receive the two novellas plus the ebook edition of Kaleidoscope), right through to $1500 (a heap of books, an editorial critique from your choice of the two editors, the book dedicated to you, and, if you’re at Worldcon, afternoon tea at the Ritz with the Kaleidoscope editors). 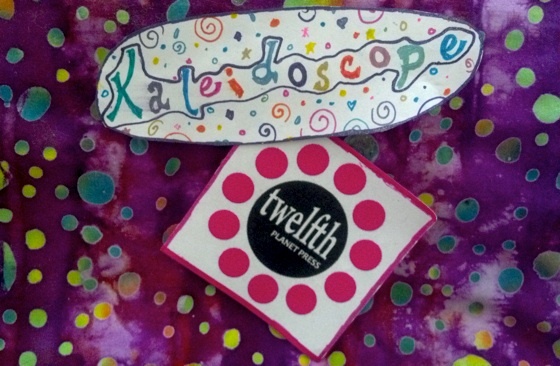 You can read more about the Kaleidoscope project at the official Kaleidoscope Blog. Spread the word! ‹ Why the Opal Card could be a bad thing. Done. Looking forward to reading the results.